Edited by Jelena Kušić - Tišma . Since the discovery of the DNA structure, researchers have been highly interested in the molecular basis of genome inheritance. This book covers a wide range of aspects and issues related to the field of DNA replication. 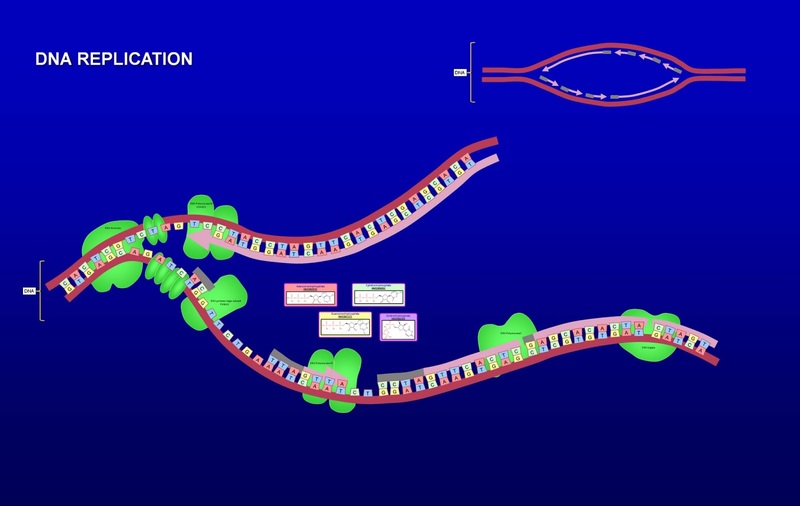 The basic process of DNA replication is highly conserved among all domains of life. To sustain genetic stability the cell has to ensure that entire genome is replicated exactly once and only once per cell cycle. However, modifications of the cell cycle leading to genome multiplication occur in the animal cells during polyploidization of trophoblast cells in mammalian placenta (reviewed by Zybina and Zybina). On the other hand, meiotic DNA replication reduces a diploid cell to four haploid gametes. Stuart in his chapter describes numerous features that distinguish regulation and progression of meiotic DNA replication from DNA replication during mitotic proliferation, connecting DNA replication and homologous recombination. Several chapters are dealing with viral DNA replication. Isomura points to regulation of expression of human cytomegalovirus DNA polymerase processivity factor as a link of viral DNA replication and transcription. Successful development of new approaches for antiviral therapy necessitates better comprehension of molecular mechanisms that regulate viral DNA replication fidelity (chapters by Matamoros et al., Hwang). The DNA repair is one of the most important genome surveillance systems of the cell and DNA replication is an integral part of all mechanisms for the repair of DNA damage. Members of repair family of proteins are emerging as essential components linking DNA damage recognition to cell-cycle checkpoints (Her, Xu and Wu). In his chapter, author McCabe summarized mechanisms of DNA repair with focus on biochemical activity of polymerases, while relationship between the processes of DNA synthesis and recombination is discussed in chapter by Zavec. Insights into the process of the protein-primed replication mechanism as one of the strategies for management the end-replication problem of linear genomes is describedin chapter by Salas and de Vega. Two chapters are addressing tissue-specific regulation of DNA replication. Current molecular understanding of DNA replication with a focus on developmental-stage and tissue-specific regulation in the animal model Caenorhabditis elegans is presented in chapter by Ruijtenberg and Heuvel and The, whereas Czaja and coworkers discuss possibility of DNA replication in the adult mammalian neural tissue. Presence of proteins implicated in formation of prereplication complex could be the first sign of cells intention to proliferate and their use as novel proliferative markers is reviewed in chapter by Karimi. DNA replication is tightly coordinate with other cellular processes and it’s not surprising that proteins involved in chromosome replication also has additional role in cell life, like SeqA regulation of transcription (Amine et al.). This volume outlines our current understanding of DNA replication and related cellular processes, and gives insights into their potential for clinical application.